THIS GRONK FITNESS POWER RACK IS THE POWER RACK YOU MUST HAVE! THIS BEAST IS THE PERFECT UNIT TO BUILD YOUR GYM AROUND! VERSATILE, STRONG AND AFFORDABLE. THIS UNIT IS SUITABLE FOR THE AVERAGE HOME USER AND CAN SUSTAIN THE BEATING IN A LIGHT COMMERCIAL ENVIRONMENT. THE UNIT IS CONSTRUCTED WITH CONTINUOUS WELDS, ELBOW SUPPORTS AND COMMERCIAL BOLTS! 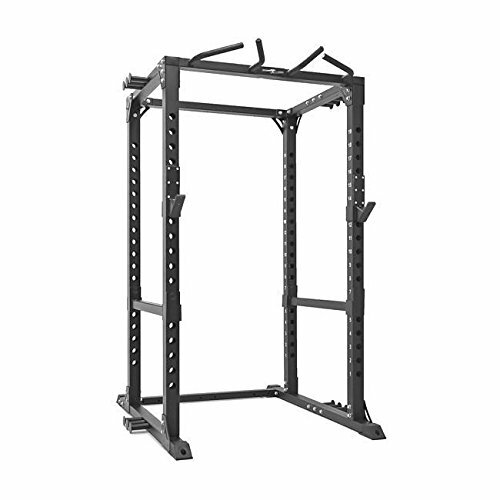 THE POWDER COATING FINISH GIVES THE GRONK FITNESS 365 RACK A RICH BLACK FINISH. View More In Power Cages. If you have any questions about this product by 80029, contact us by completing and submitting the form below. If you are looking for a specif part number, please include it with your message.